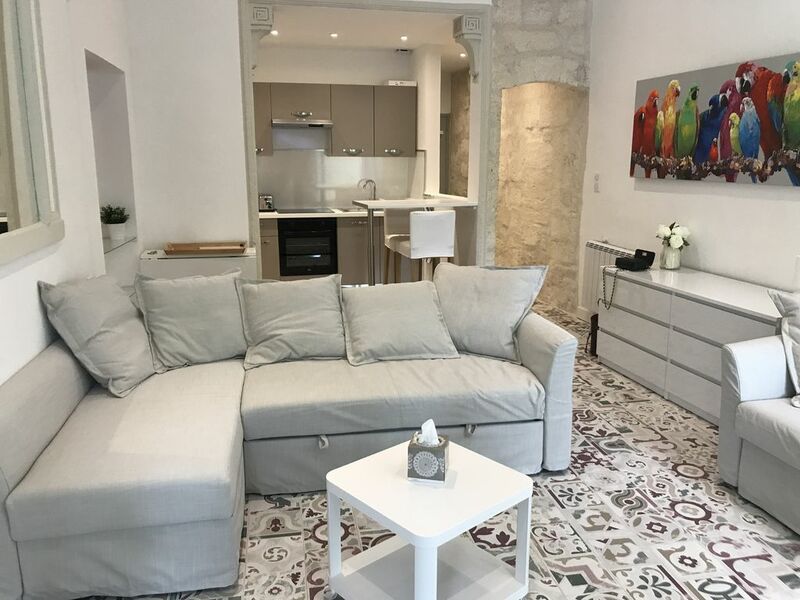 Magnificent studio of 33 m2, on the second floor, renovated with taste, ideally located in the heart of the historic center of Avignon classified World Heritage Unesco. Excellent location! Well designed and decorated and very clean! Our host was wonderfully accommodating and made us feel welcome. Good hike up the stairs meant we could enjoy even more great food in Avignon! We would definitely stay again if we visit Avignon again in the future! As advertised- and the Hosts are charming and helpful. I had an awful time navigating my way to the parking lot under the Palais des Papes...note that it is benath the Mercure Hotel as well. The P signage to the Indigo parking lot will direct you to said location- be sure to go to the lot designating both the Palace and the Hotel 😉.